Filing an “Original Petition for Divorce” starts a divorce in Texas. This document asks the court to dissolve the marriage, divide property and debt, make appropriate orders for the children, and enter a judgment. Texas divorce law requires a 60-day waiting period that begins on the day the divorce petition is filed. 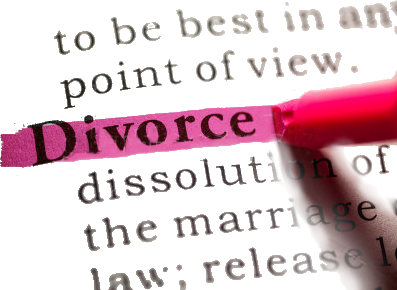 In most cases, a divorce takes between two to eight months. Texas Divorce Law sets Child Support Guidelines. Texas Divorce Law sets child support at 20% of the net income for the first child, 25% for the second child, 30% for the third child, and so on. If a person is unemployed at the time a child support order is established, the court may calculate child support based upon the federal minimum wage at 40 hours a week. If circumstances have changed since your divorce and you feel that your child support payments are incorrect, Texas Divorce Law allows you to request a modification from the court. Collaborative Law is designed for people who want a private, respectful end to their marriage. The couple, along with their individual attorneys, develop a workable, long-term settlement plan that addresses the interest of everyone involved. When there are children, their well-being comes first. The process replaces court fights with a system that takes control of the outcome away from a judge or jury and puts it back into the hands of the parties. With the assistance of collaborative family lawyers, couples create and atmosphere of open communication and cooperation, and customize a settlement that best fits their goals and family circumstances. Attorney Michelle M. Williams is a member of the State Bar of Texas, State Bar of Texas Family Law Section, Dallas Bar Association, Dallas Bar Association Family Law Section, and a volunteer mediator for the Dallas County Dispute Resolution Center, and has completed the “Basic Training in Collaborative Practice”, making Michelle even more qualified to handle your needs.